Ginny Bakes Organics – yummy mini chocolate cookies, can’t go wrong here! Wonder+Well Water – a peach flavoured water, perfect for on the go! 180 Almond Rice pops – a healthy little snack that is gluten free and oven baked – great for hikes! Made with Love Sprd – we have a mini packet of creole mayo here, great for a picnic! So many other great flavours too, love this company. The Gluten Free Bites – possibly the original? Mmm dark chocolate coconut, delicious. Surf Sweet gummies – I love these, have tried them before, just wish they were bigger packets! Loacker milk chocolate wafer – a massive chocolate bar here for the sweet tooth! Artisan Tropic Plantain chips – I’m not a big fan of anything banana, but with a hint of sea salt these are quite tasty. Maple Bacon Flavoured Almonds – kinda a bizarre flavour, but good for the bacon obsessed! Love the packaging! Kashi chewy Butter nut bar – great to keep in the backpack for a hike! Apple Harvest dried apple slices – mmm I love crispy crunch apple slices! Yum! These are my new fav apple chips for sure! Just sweet enough! Dang toasted coconut chips – mmm another dried fruit! Love coconut as well! These are a little funky tasting, but it goes with the coconut taste. 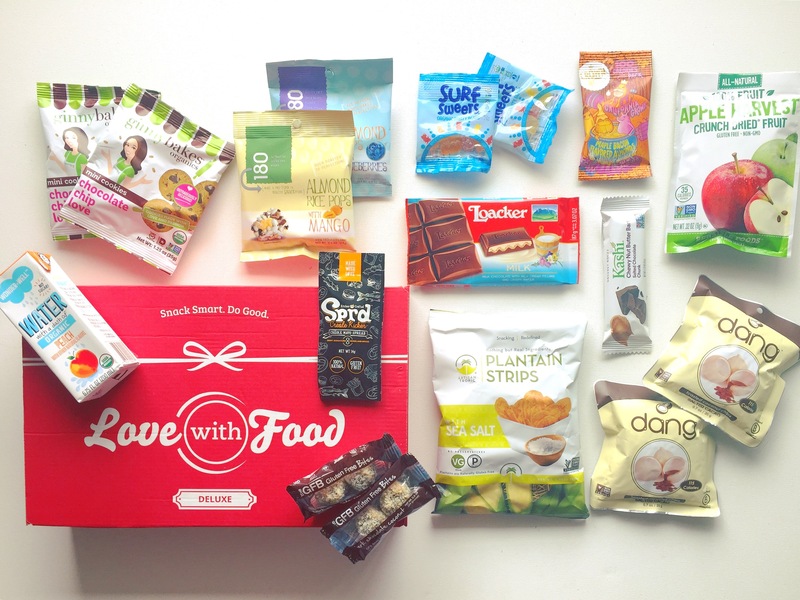 Overall I liked the variety in this box, mostly sweet snacks and couple extra items like the water and mayo spread added to it! Only feedback would be that if there’s doubles to have them at least different flavours!